« Bigfoot, or Another Guy in a Ghillie Suit? 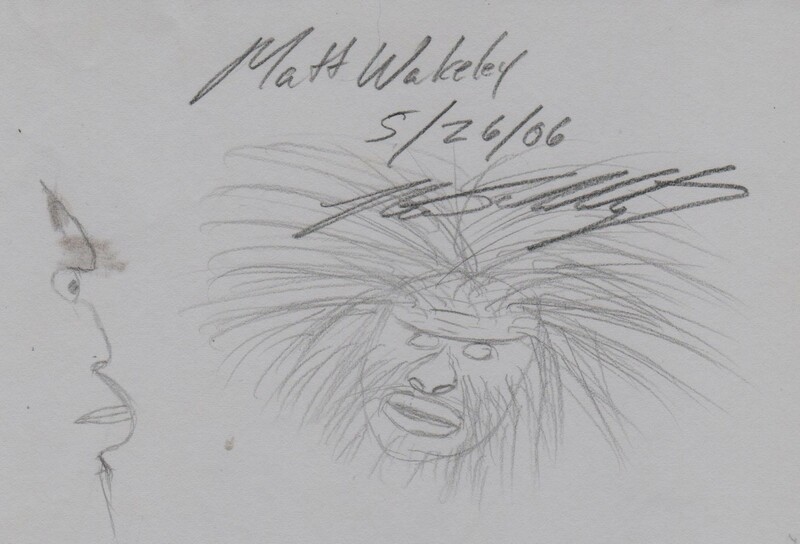 Do you mean my drawing of the Wakely creature is what your son says he saw? When my son was about 5 yrs old we went up to Ruidoso, NM to Inn of the Mountain Gods. This is surrounded by the Lincoln National Forest. During the afternoon, we walked out to the lake they have and my son pointed to something across the lake in the trees, but I couldn’t see anything. Last year, we saw the BFRO show on Animal Planet. My son has just turned 10 and now he says that this is what he was trying to tell me when he was little. That he had seen this tall dark creature with ‘wild hair’ around its head looking at us beyond the lake among the trees. Then he said it kept walking. He said he didn’t think anything about it because he thought it was a man. Uncanny! The Bigfoot mystery continues with interest as to the close up characteristics of this being. Love to hear reports of of facial features, expressions and similarities to our own kind. They say some tribes have the shaman. Go and live in the Forrest for ten years.that could be what that Guy saw. Wow, I appreciate that and will let you know if I need help in the Smokies! I have no inside information on the status of Dr. Ketchum’s research paper but I agree with you about the great numbers of people who have had encounters with the creature. And there’s no doubt that it must be very intelligent to have eluded capture for so long. The Salish, Tillamooks, and others in the Pacific NW were always telling writer J.W. Burns stories about the “Sasquatch Men” or “Sasquatch People”. The fact that they always used that moniker “Sasquatch MEN”—-and claimed them as a “degenerate TRIBE”—-has, to me, always worked against the idea of a very apelike (Gigantopithecus blacki/Paranthropus) face. In sasquatch artwork (quite a few images shared by Bill Green & others) I have always “passed” on the renditions that show definite gorilla-like inset nostrils rather than real NOSES. Humanlike NOSES have always been characteristic of what I have long considered really GOOD BF representations. Dr. Ketcham’s findings seem to indicate validations for these noses I prefer (heh heh), which gives me a big smiley face 🙂 . Has Dr. Melba’s peer review in fact been rejected as I have read elsewhere? I have heard her interviewed and she said her resaearch has been attacked over and over again and false rumors are flying around. Too many people have seen this homonid for it to be a myth. It must have the wild canniness of animal and the brains of the human to remain hidden for so long. He said that a 12-year-old boy, examining Mr. Pratt’s renditions of bigfoot as described by bigfoot witnesses, called across the room, “Hey, Mom! [Mr. Pratt] has it right.” Meaning that Mr. Pratt’s drawings consistently show bigfoot as having more human, than ape-like, faces. So it seems to me that the ape-like faces provided by other artists is more interpretation rather than forensic. 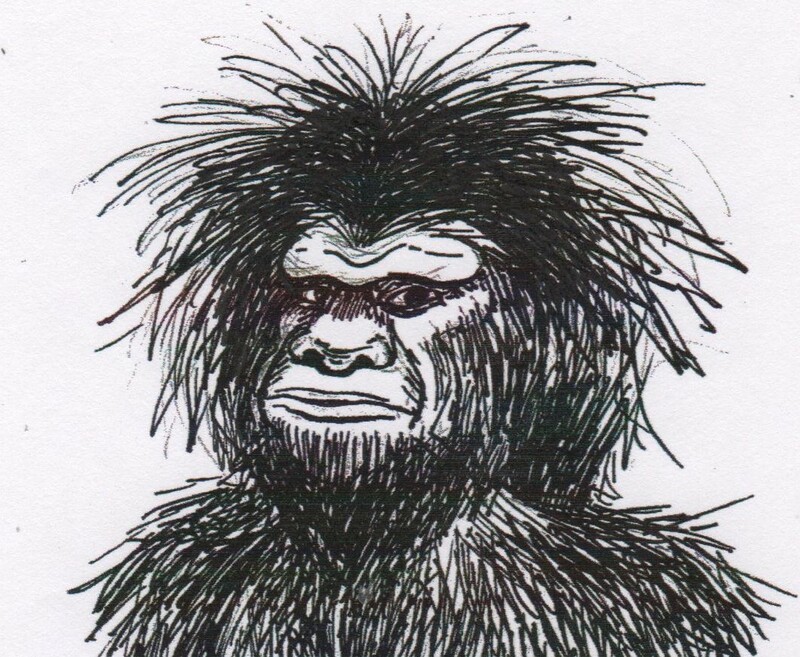 In other words, it seems me that the great majority of bigfoot drawings showing an ape-like face are simply WRONG.